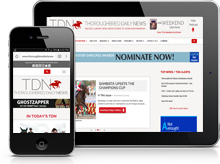 TDN Featured Race Replays are available and searchable for specific races as linked in the TDN. Search by sire or runner. Or search by track or race type and date range. Leave search criteria empty to return all featured videos for the selected date range. All featured videos for the past three days are listed below by default.